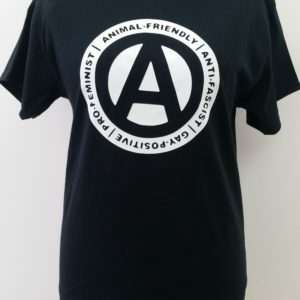 Our very own Animal Liberation Human Liberation t-shirt which we have had printed at our local ethical, vegan printers! Black Star Print Shop. 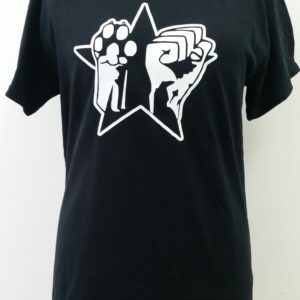 This t-shirt represents that both human rights and animal rights can be fought side by side and being inclusive to all is the way forward! Independent of gender, race, age, species, etc. 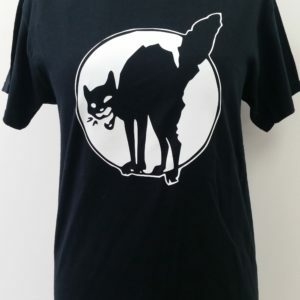 Our t-shirts are 100% cotton printed in the UK by a vegan owned and run print shop. Available in sizes S, M, L and XL. Our all around pro-equality and compassionate t-shirt! Printed at our local vegan printer, Black Star Print Shop. 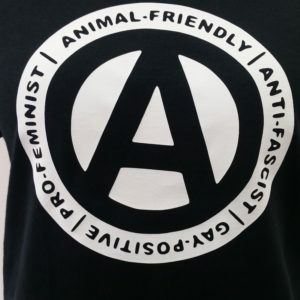 This t-shirt encompasses everything we believe in from feminism, to LGBTQ+ rights and of course being friendly to animals! This t-shirt makes for an all around positive and awesome person! Perfect as a gift too. Available in sizes S, M, L and XL. Made from 100% cotton. Choose to receive a lovely selection box of gluten-free vegan treats on a monthly basis with this deal. Various sizes of box available. 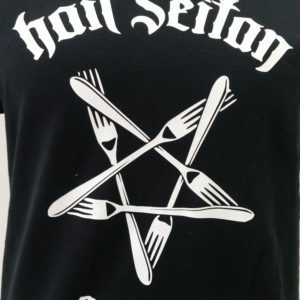 Our Hail Seitan tee is a quirky nod to Satan and veganism! 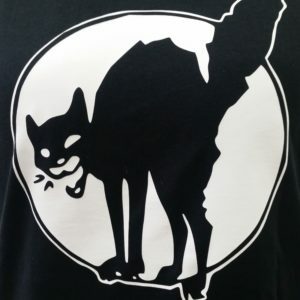 Our t-shirts are printed at our local vegan printer, Black Star Print Shop! Available in sizes S, M, L and XL. Made from 100% cotton, printed in the UK. 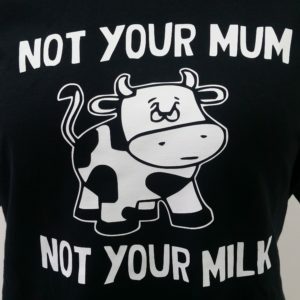 Our very own Not Your Mum Not Your Milk t-shirt with fun baby cow design! 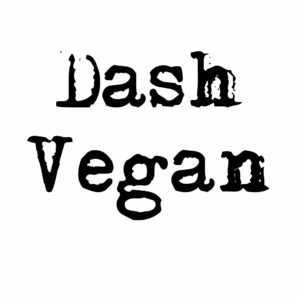 Our t-shirts are printed at our local vegan printers, Black Star Print Shop. The message is clear: milk is for babies! Cow's milk is produced and designed for calves, simple! Going dairy-free and vegan has never been easier. An ideal message shirt perfect as a gift for yourself or a loved one. Available in sizes S, M, L and XL. Our t-shirts are made with 100% cotton printed in the UK. 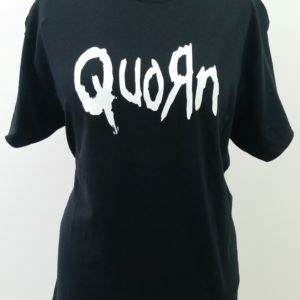 Our very own exclusive design Quorn t-shirt which has a nod to the music of Korn and the vegan lifestyle! 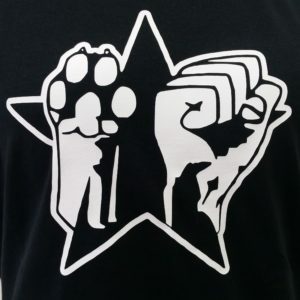 Our t-shirts are printed at our local vegan printers, Black Star Print Shop. 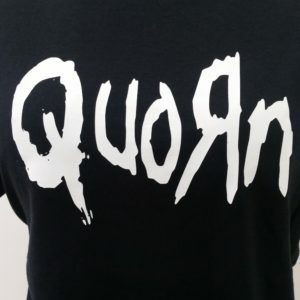 Quorn is well-known as a brand of meat-free substitutes so combining the brand name in the Korn text style, this is an awesome t-shirt to rock! (And only a tiny bit naughty!) Available in sizes S, M, L and XL. Made from 100% cotton and printed in the UK. Our Vegan! 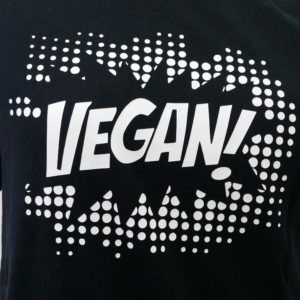 design t-shirt which has been printed at our local, vegan and ethical printers! Black Star Print Shop. 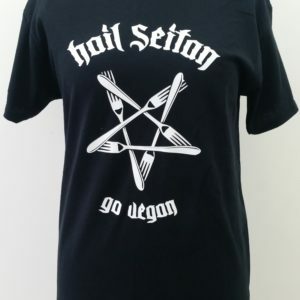 Let everyone know that you are proud of being vegan by sporting this Vegan! t-shirt in fun pop art style! Available in sizes S, M, L and XL. Made from 100% cotton.